Paging Run United 3 participants! 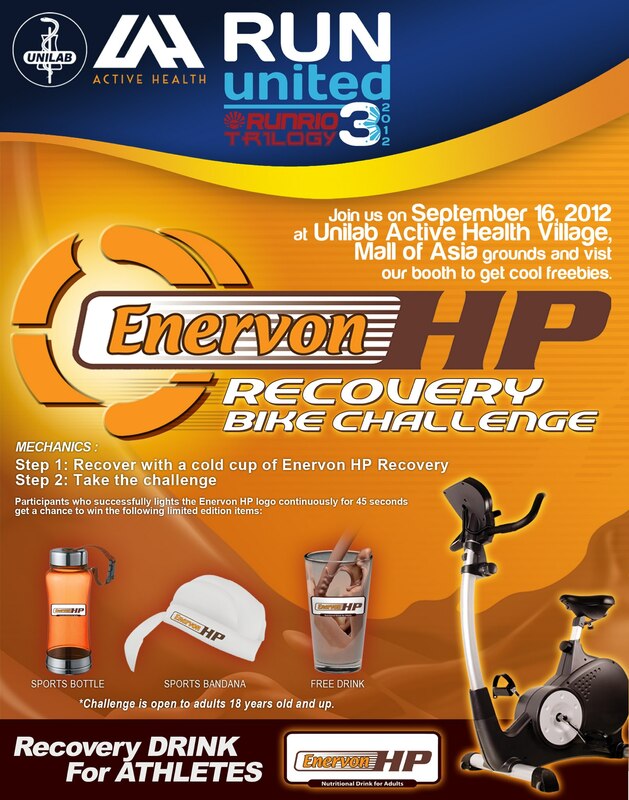 Join the Enervon HP Recovery Bike Challenge at Unilab Active Health Village, Mall of Asia grounds at Run United 3. Take the bike challenge and win exciting prizes at Enervon HP Recovery booth. *Challenge is open to Run United 3 participants ages 18 years old and up.